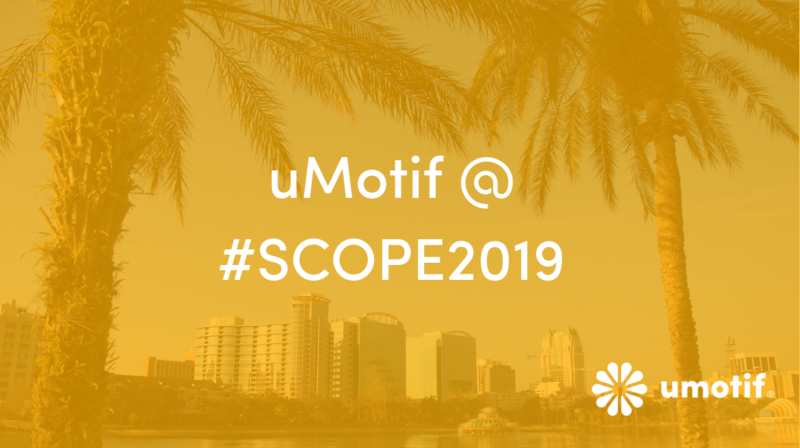 Meet the uMotif team at the SCOPE Summit 2019 in Orlando from 18-21 February. uMotif are delighted to be participating as exhibitors and roundtable hosts at the SCOPE Summit 2019. We look forward to contributing to the discussion with clinical operation executives on patient engagement, technology advances and improved patient experience. Meet Rob Nichols and Jon Stone in the exhibit hall at Booth 14 to find out more about uMotif and see our platform in action.